Despite the increasing mutual interest, robotics and cognitive sciences are still lacking common research grounds and comparison methodologies, for a more efficient use of modern technologies in aid of neuroscience research. We employed our humanoid robot for reproducing experiments on saccadic adaptation, on the same experimental setup used for human studies. The behavior of the robot, endowed with advanced sensorimotor skills and high autonomy in its interaction with the surrounding environment, is based on a model of cortical sensorimotor functions. 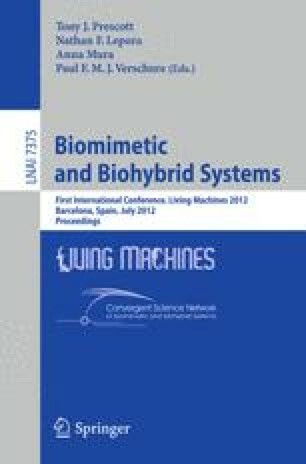 We show how the comparison of robot experimental results with human and computational modeling data allows researchers to validate and assess alternative models of psychophysical phenomena.